As promised, here is some feedback on the now-retired Ellam-98s that I built. 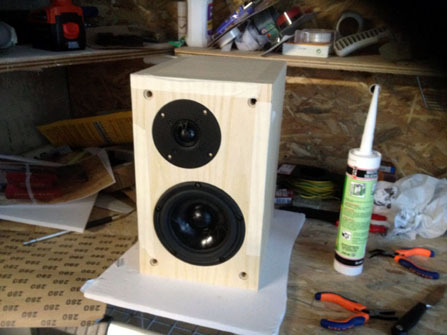 This was my first DIY speaker ever. I have since developed some skills but I came at this project as a complete newbie (I had done some circuits before, so I could solder, but I had never done any woodworking and in fact am somewhat surprised I didn’t glue myself to the cabinet). 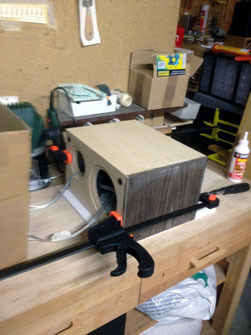 I sent an email to Wilmslow Audio in the UK with the specifications for the Ellam, and they sent me pre-veneered and routed panels that just needed to be glued together and finished. 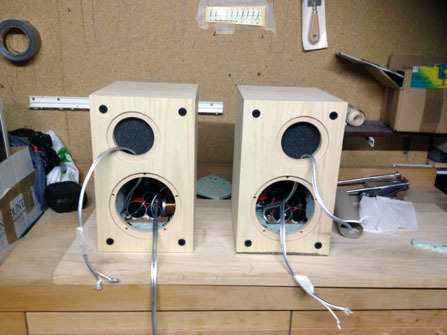 It was easy and for your readers who would like to dip a toe into DIY speakers but don’t have routers, etc. 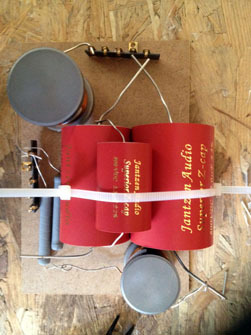 it is a great way to build a great pair of speakers with minimal skills. With mine I damped them with bitumen and lined the walls with foam. I spent extra on the 9800 tweeter over the XT since I was curious about the metal dome. I never met a metal dome that I liked and was intrigued by the positivity around this tweeter. And sure enough, it is a really refined driver – great accuracy but without the brightness of e.g. a titanium dome. As you can see I used super caps and went for the classic black ash finish – sprayed matte black with a varnish that gives a waxed look. The little Ellam lived up to its reputation of good bass from a small package, but for me the big surprise was the quality of the midrange. The 15W midbass isn’t cheap but it really delivers – lots and lots of detail. It likes a powerful amp and it only plays so loud before getting a little compressed, but at normal to loudish volumes with a capable solid state amp, it’s a stunning little performer. 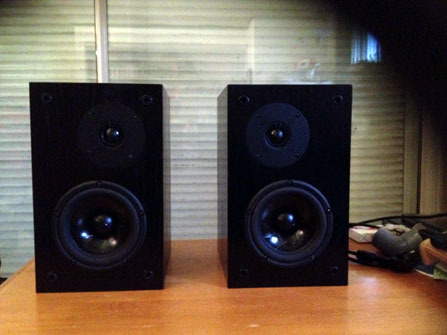 It absolutely blows away my (slightly smaller) PMC DB1is which are pretty darned sweet loudspeakers (and not cheap). It’s a great crossover Troels and I can see why the Ellam and its cousins have been so popular on your site. 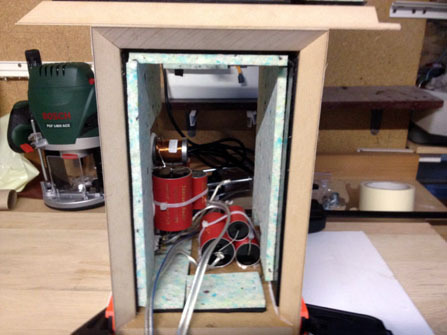 It’s small and not difficult to build, but it reaches well into the world of serious speakers that cost big money. Thanks for a wonderful project. Some (admittedly poor) photos are attached.